Not only is this a brilliant hack for keeping your valuables hidden, it's the funny setup for a scene in which would-be petty thieves unwrap poop-filled decoys on beaches all over the world. Thanks for sharing, New Mom Thoughts! Post your hacks on your favorite social media platform with the hashtag #parenthacks. 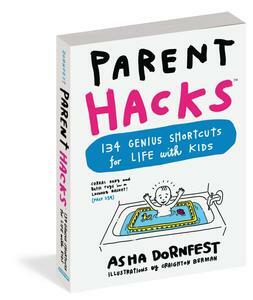 For more guidance, here's the full scoop on using the #parenthacks hashtag. Loosely related: keep people from using all your half and half at work by storing it in a medela bottle. Works like a charm. Problem: don’t throw away the valuables with the OTHER poopy diapers! Haha this is great! No one will want to touch it!